"An aerial drone crashed through a window on the 23rd floor of Buffalo City Hall. 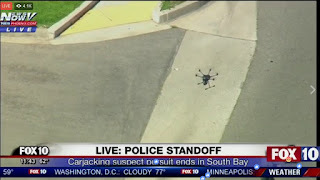 No one was in the office when the craft landed in an office late Wednesday afternoon after workers had gone home for the day, police said. 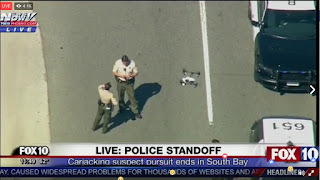 Its operator didn't even know what happened to the drone and later called police asking if anyone had found it." See, you don't want any Joe-off-the-street flying these things in town. They should be licensed and trained first. "BENTON, La. (AP) - It was night, and three runaways were hiding in woods. 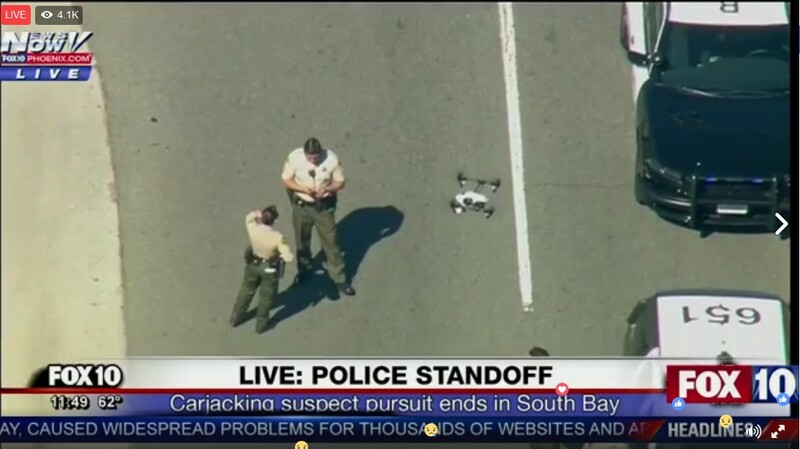 A sheriff's deputy put up a drone with a thermal imaging camera, and found them within a minute. Two were quickly detained. The camera showed that the third ran through the woods and crossed Interstate 20 in the dark." "'In fact,' he went on to say, 'we have a very close ally of ours that was dealing with a adversary using small quadcopter UASs, and they shot it down with a Patriot missile.' The problem, he said, wasn’t effectiveness: the tiny drone didn’t stand a chance — the issue is economics. The situation showed: whoever was flying the drone now knows that they can easily undermine this unnamed ally with the missiles. All they need to do is buy more cheap drones and fly them, running up the operational costs of that military." " Reports of errant drone flights—a handful of which were crashes or near misses with planes or helicopters—rose more than 50 percent from January through September 2016 compared to the same period a year earlier. There were 1,367 drone-safety reports to the FAA in that nine-month period, according to the agency. While the research is still under FAA review, there are early indications of at least one piece of good news for the industry: When small consumer drones made of plastic strike an object like a human head, they tend to break apart, lessening the impact, according to David Arterburn, a researcher at the University of Alabama in Huntsville. Arterburn heads the FAA’s research effort to determine how badly a drone would hurt a person, and whether it’s possible to create a class of vehicle that’s so light and soft they aren’t a hazard. The group conducted its crash tests on dummies last summer at Wichita State University in Kansas." 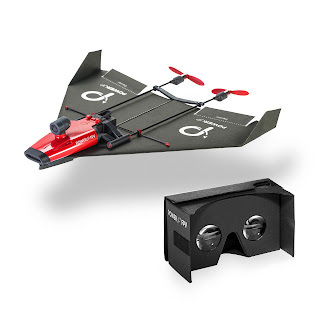 "And now the PowerUp FPV, a $200 drone, enters the pantheon of paper airplanes. This one comes with eight high-quality pieces of black, German-made origami paper, a twin prop that slides over the creases, and a camera mounted module over the top that sends a live video feed to your phone, and records it on a micro SD Card. The plane can be launched via a 'throw to fly' mode, where you launch it like a standard paper airplane. That forward motion kicks the motors on—or, well, it should, I could never get this to work right, but my son had no problem. A more consistent takeoff maneuver is to throttle up the propellers first, give it a gentle toss, and away it goes. " This is one of the most inventive drones I've seen. You can attach the motor/camera section to any plane design you want. pretty cool. "FORT HUACHUCA - The Shadow RQ-7Bv2 unmanned aircraft which lost connectivity with the ground station here Jan. 31 was found today by a hiker in the mountains west of Evergreen, Colorado. No one was injured, but the aircraft has sustained damage. Soldiers from Fort Carson, Colorado, along with Clear Creek County and Jefferson County, Colorado, Sheriff Departments are currently assisting with security and recovery efforts." If the trajectory was straight then this is a simple case of a wayward drone. If the trajectory was not straight then more investigation is needed. The article does not say. "A GoPro drone crashed through a Manhattan woman’s 27th-floor window and landed just feet from her as she sat in her living room enjoying a quiet evening at home, police sources said Sunday. The 66-year-old resident was working on her computer inside the East River high-rise when the hobby craft smashed through the window at around 5:45 p.m., according to the sources." An apparent car hijacker was spun out and refused to give up. 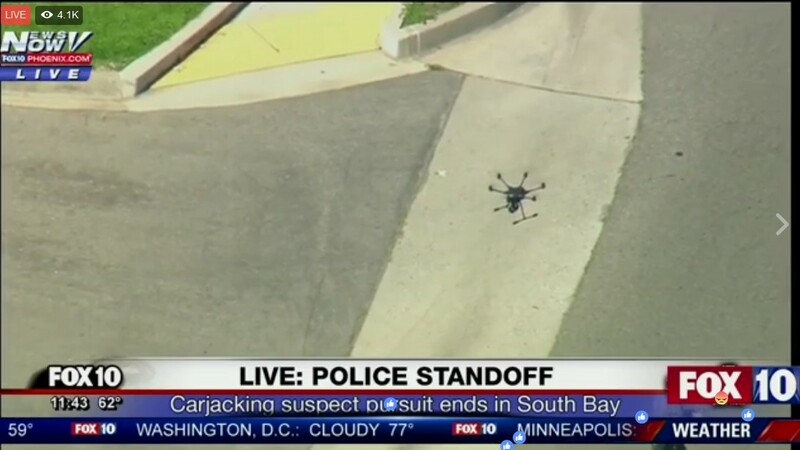 Police brought in the quadcopter.